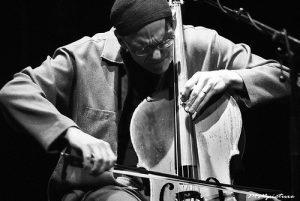 Hank Roberts will be a featured guest artist at this year’s New Directions Cello Festival. His biography can be found in the festival flyer in this newsletter. Roberts has played on nearly forty recordings which span a wide musical range. For reviews of his latest solo and trio CDs, 22 Years from Now and I’ll Always Remember see page 11. 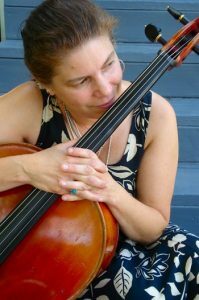 Sera Smolen: What got you started improvising on the cello? Hank Roberts: I actually began improvising on the trombone. I was very serious and ambitious, learning jazz and many different styles, eventually pushing until I over-did it. It was at that point that I realized I was very comfortable on the cello, and was able to transfer my musicianship over to the cello so easily that the cello became more like home to me. SS: How have you transferred the many styles of music you hear onto the cello? HR: I listened a lot, to the point where I could sing in unison with recordings and make all the rhythmic and percussion sounds that intrigued me with my voice. I would take long walks with my dog, sometimes for much of the night, and sing to myself. At first, since I didn’t know a lot of theory, I wondered how I would ever fluently improvise, but eventually realized I could transfer what I heard over to the cello. SS: Do you use your classical techniques to do this, or do you let the music create new techniques?